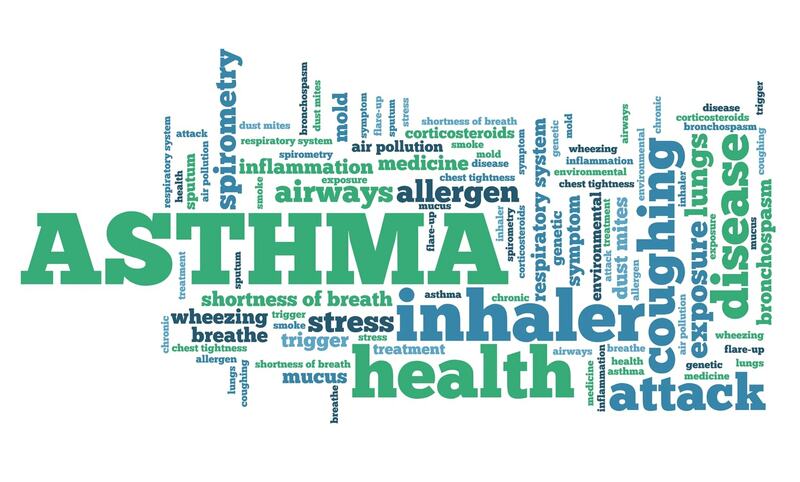 Of all the chronic conditions we face in the modern world, asthma seems to be one of the most prevalent. According to the Office for National Statistics, 1320 people died in England and Wales alone. In the UK, 5.4 million people are currently receiving treatment – this includes 1 in 11 children. Personally I have never been a sufferer but I have known many – and I remember my dad forgetting or not being able to find his inhaler on several occasions! I had a friend in school who had regular asthma attacks and when thinking about it, the amount of people around me with the condition over the years seems to have steadily increased. Believed to be a combination of genetics and environment, the list of potential triggers includes airborne substances, pets, intense exercise, food additives, stress, respiratory infections, some medications…. and more than likely many that are still unknown. Whilst it is a manageable condition, it can escalate and become extremely harmful to a sufferer’s health as well as have implications such as lost wages due to sick days from work, restricting hobbies and activities and long term complications inevitably caused by some medications, particularly steroids. So, how can Tai Chi help? In 2008, Thai scientists performed a small scale study on 17 adults over a six week period and results showed that patients had improved their peak flow variability, asthma control and quality of life measured had also increased – based on tests performed before and after a six minute walk. In Taiwan (National Taiwan University Hospital) in 2017, after a 12 week Tai Chi training course, results showed that patients experienced an improvement in pulmonary function and a reduction of inflammation in the airway. Again, quality of life was said to have been improved. Whilst we in no way recommend replacing medical care with Tai Chi, or even starting a practice before you have spoken to a medical professional – it’s clear that starting Tai Chi, or Qigong, can potentially have great benefit to those suffering from asthma. Exercise is listed as a trigger of the condition in some people – potentially resulting in a more sedentary lifestyle, which itself could be a cause of complications faced by asthmatics. Tai Chi could be that sweet spot between leading an active lifestyle involving regular exercise, whilst at the same time helping increase lung capacity, control breathing and reducing anxiety around the condition. Here at White Crane Online and White Crane Academy, we can help you as you start your Tai Chi journey. If you are in the UK, we teach classes and workshops in Sussex area. If you are not able to attend – or if you prefer to train at home – White Crane Online teaches Tai Chi and Qigong online – many video tutorials are completely free of charge and if you’d like to try our subscription, to learn the entire White Crane Tai Chi form, you can begin the first month for just £1 (or $1). If you’d like more information, please do get in touch – [email protected] or send us a message in our forums or via our Facebook page. 1 responses on "Tai Chi for Asthma"
Regular practice of qi gong and tai chi will help you manage your asthma, if you are a sufferer. I have suffered from asthma for most of my life but I have also practiced tai chi and qi gong forms, and I can definitely say that in my experience they help, and if your practice is dedicated, they will help a lot. Tiredness and stress make asthma sufferers more vulnerable to triggers. Tai chi and qi gong help to reduce stress levels and improve stamina. The slow deep movements in tune with your breathing help to improve overall flexibility, but noticeably the flexibility in your lungs. You can feel the difference. I hope this comment is useful to others. Mark teaches shibashi and white crane form. I find the two practiced in sequence especially helpful.